How do you like your eggs? 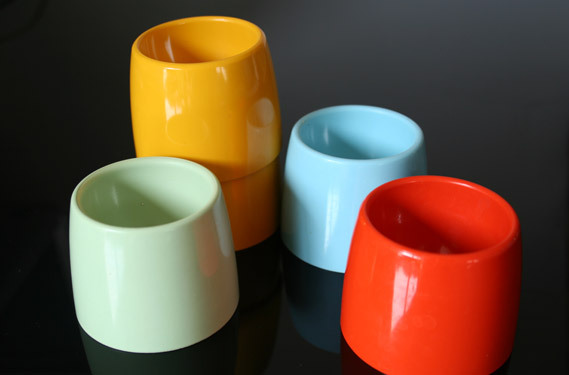 I like mine soft boiled in a Melamine egg cup and depending on my mood I choose between pastel and bright. Love the colours, the shape and the fact that they can’t break (well nearly). 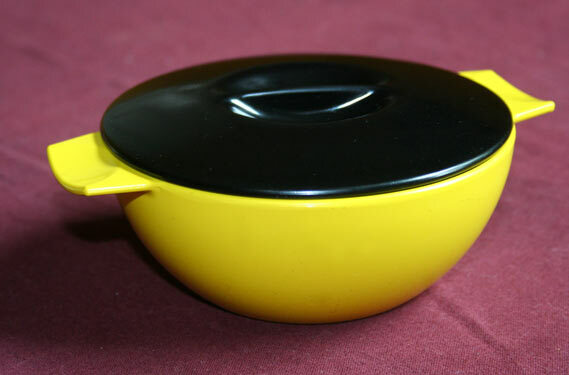 Produced by Melaware in the 60s. In the 1950s and early 1960s it seemed that melamine tableware might replace traditional ceramics in the dining room, as well as for picnics. These plastic imposters were made from melamine formaldehyde. It was tough, the manufacturers claimed, almost unbreakable. This bright and colourful number is made by Melaware probably 60s or 70s.